The outer frame and the inner pane like overlay of this piece is created with resin molded to look like real bamboo. 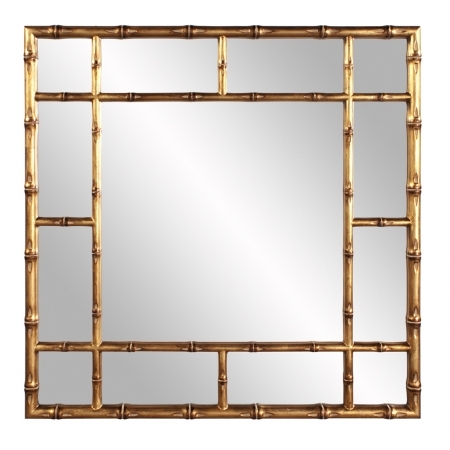 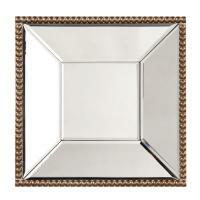 Given a bright country gold finish, the frame work complements very nicely the reflective surfaces. 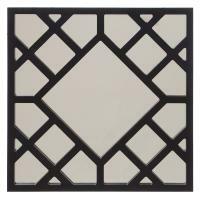 The square shape and the dimensions of this piece make it a great choice for any wall as it brings both style and function to the space.